2009 – ScottC and lmsinca (posting as lindaS) meet each other and have their first ever interaction on Greg Sargent’s The Plum Line (see the posts starting at 9:52pm). They continue to argue with and annoy each other 4 years later. 1990 – Playing for the Seattle Mariners, Ken Griffey Sr. and Ken Griffey Jr. become the first father and son to ever play in the same game for the same team in MLB history. Each goes 1 for 4. Kinda cool. 1888 – The mutilated body of prostitute Mary Ann Nichols is found in London’s east end neighborhood of Whitechapel. Nichols is the first of five recognized victims of the infamous, and to this day still un-named, serial killer known as Jack the Ripper. If you ever go to London and are looking for something interesting to do in the early evening, do the Jack the Ripper walking tour guided by Donald Rumbelow, a renowned British crime historian. I thought it was pretty good. 435 was set as the number because of the size of the chamber. I suggest that limitation is a mere logistical issue that can be overcome in many ways that need not be addressed here. Take the least populated state in each decennial census and give it one Rep. Then give other states multiples rounded up so that 1.51 WY in 2010 equals 2. Expand the House as necessary. Shake things up a bit. We might get Congress to actually support it because it makes for more Congressmen, each with somewhat more manageable districts for campaign purposes. Of course, it would effectively end the gerrymander. Markets are flat after disappointing income and spending data. Bonds and MBS are more or less flat. Expect a relatively dull day, trading wise as most of the Street will be on the L.I.E. by noon. The BEA released July personal income and spending data this morning and it was below expectations. Both rose .1%, below expectations and below June data. Since consumption is 70% of the US economy, these numbers suggest that yesterday’s 2.5% GDP estimate for 2Q was more of a fluke than a change in trend. Cash purchases accounted for 40% of all sales as volume increased to an estimated 5.5 million pace in July, according to RealtyTrac. The national median sales price was $174,500 in July, up 4% from June and up 6% from a year ago. Median income is estimated to be at $52,100 as of the end of June, putting the median house price to median income ratio at 3.35. Pre-bubble, this ratio tended to oscillate in a range of 3.15 – 3.35, before peaking at 4.48 during the bubble. Even with the increase in house prices over the past year, housing still remains fairly valued compared to historical norms and affordability is quite high due our (still) quite low interest rates. Budget talks between the WH and Republicans seem to be going nowhere. The President wants to replace the sequester with more taxes, which is a non-starter for Republicans. The two sides seem far apart, but how much of this is just posturing for the various bases. If Republicans dig in their heels on de-funding obamacare and Obama digs in his heels for more taxes, then we could have a problem. Dr. Cowbell weighs in on the recent QE-withdrawal driven slump in the emerging markets. Unsurprisingly, he concludes that the problem is deregulation, which is surprising given that developed markets all over the world tightened regulation over the financial system half a decade ago. He goes on to discuss how the Asian Tigers rebounded so quickly from the crisis, which he attributes to a drop in their currencies. What is the difference between Japan’s recovery from a deflated asset bubble and, say, Indonesia’s? Hint: One followed his Keynsian prescription to the letter and the other had austerity imposed on it by the IMF. 2005 – Hurricane Katrina makes landfall near New Orleans, LA, as a Category 4 hurricane on this day in 2005. Despite being only the third most powerful storm of the 2005 hurricane season, Katrina was the worst natural disaster in the history of the United States. After briefly coming ashore in southern Florida on August 25 as a Category 1 hurricane, Katrina gained strength before slamming into the Gulf Coast on August 29. In addition to bringing devastation to the New Orleans area, the hurricane caused damage along the coasts of Mississippi and Alabama, as well as other parts of Louisiana. 1982 – Swedish-born actress and three-time Academy Award winner Ingrid Bergman dies of cancer in London on her 67th birthday. Bergman, who was best known for her role as Ilsa Lund in Casablanca, created an international scandal in 1950 when she had a son with the Italian director Roberto Rossellini, to whom she was not married at the time. Bergman, who was born on August 29, 1915, studied acting at Stockholm’s Royal Dramatic Theatre and became a film star in Sweden before making her first Hollywood movie, David O. Selznick’s Intermezzo: A Love Story (1939). In 1942, Bergman co-starred in Casablanca with Humphrey Bogart, who uttered the famous line to her: “Here’s looking at you, kid.” She received a Best Actress Academy Award nomination for 1943’s For Whom the Bell Tolls, which was followed by a win in the same category for 1944’s Gaslight. She was nominated for the Best Actress Oscar again for 1945’s The Bells of St. Mary’s and 1948’s Joan of Arc. Bergman worked with director Alfred Hitchcock on Spellbound (1945), Notorious (1946) and Under Capricorn (1949). In 1949, Bergman began a romance with Roberto Rossellini when he directed her in Stromboli (1950). When the actress, who at the time was married to a Swedish physician with whom she had a daughter, became pregnant with Rossellini’s child, it created a huge scandal. Bergman was even reprimanded on the floor of the U.S. Senate. 1957 – Strom Thurmond (Sen-D-SC) ends 24 hr filibuster against civil rights. Fortified with a good rest, a steam bath and a sirloin steak, Sen. Strom Thurmond talked against a 1957 civil rights bill for 24 hours and 18 minutes — longer than anyone has ever talked about anything in Congress. Republican leader Sen. William Knowland of California retorted that Thurmond’s endless speech was cruel and unusual punishment to his colleagues. 1786 – The beginning date of Shay’s Rebellion. A revolt by desperate Massachusetts farmers in 1786, Shays’s Rebellion arose from the economic hardship that followed the War of Independence Named for its reluctant leader, Daniel Shays, the rebellion sought to win help from the state legislature for bankrupt and dispossessed farmers. More than a thousand rebels blocked courts, skirmished with state militia, and were ultimately defeated, and many of them were captured. But the rebellion bore fruit. Acknowledging widespread suffering, the state granted relief to debtors. More significantly, the rebellion had a strong influence on the future course of federal government. Because the federal government had been powerless under the Articles of Confederation to intervene, the Framers created a more powerful national government in the U.S. Constitution. Three years after peace with Great Britain, the states were buffeted by inflation, devalued currency, and mounting debt. Among the hardest hit was Massachusetts. Stagnant trade and rampant unemployment had devastated farmers who, unable to sell their produce, had their property seized by courts in order to pay off debts and overdue taxes. Hundreds of farmers were dispossessed; dozens of them were jailed. The conditions for revolt were ripe, stoked by rumors that the state’s wealthy merchants were plotting to seize farm lands for themselves and turn the farmers into peasants. Markets are higher this morning after some initial jobless claims came in at 331k and the second estimate for 2Q GDP came in higher than expected. The initial pass at 2Q GDP was 2.2%, while this estimate was 2.5%. We will have a final revision next month. Between the Syria situation and the emerging markets meltdown you would expect the 10 year to strengthen and it isn’t happening. This speaks to the bearish sentiment surrounding the US bond market. Of course this could change if a big player gets in trouble with Indian exposure or we get into a shooting war in the Middle East and oil soars. But so far, the 10 year isn’t rallying under circumstances where it should. Punch line: if you are floating, you are drawing an inside straight. Something that I haven’t dwelled on, but could become an issue – the debt ceiling fight. I don’t see a government shutdown in the cards, but the WH wants a clean, no-strings-attached hike in the debt ceiling (which is a rare event and a pretty big demand) and the Republicans want to de-fund obamacare. So, expect a lot of posturing going into October, which is when the government needs to borrow more money. CoreLogic is reporting that there were 49,000 completed foreclosures in July, down 25% year-over-year. This is still elevated compared to pre-crisis levels, where a 21,000 pace was the norm. We are seeing the remaining shadow inventory concentrated in the judicial states, which explains why prices are rallying in the West and going nowhere in the Northeast. FHFA is reporting that mortgage interest rates rose 45 basis points in July. These are based on lock data, which is somewhat stale, so the end of July data reflects locks made in mid-to-late June. During this time, the 10 year yield increased about 52 basis points, so it looks like spreads are compressing a bit. Is it going to be Summers or Yellen? That is the question many market participants are asking. Summers is rumored to be the favorite and is seen as more hawkish than Yellen. As we approach the end of the year, bond investors will probably do well to read the Washington Post as well as the Wall Street Journal. Expect the bond market to become a bit twitchy and begin to react to the latest headlines in this horse race. Posting this a bit early, as I think there will be no MP this morning. 1996 – After two children and 15 years of marriage, the Prince and Princess of Wales, Charles and Diana, formally agree to a divorce. The couple had already been separated for four years, and had been negotiating for over 6 months on a final settlement. Almost a year to the day later, on August 31, 1997, Diana will be killed in a car crash in Paris. Charles will eventually go on to marry his long-time mistress, Camilla Parker Bowles, in 2005. The news of the divorce produced much sadness among many followers of the British Royal family, but for those of us who have always considered the royal family to be an expensive and foolish anachronism, we couldn’t have cared less. 1963 – On the steps of the Lincoln Memorial, the Reverend Martin Luther King Jr. delivers a speech to 250,000 people who had come for the March on Washington, demanding voting rights and an end to racial segregation. The speech, popularly known as the I Have A Dream speech, will be delivered 8 years to the day of the racially charged murder of Emmett Till (see below) and will come to be seen as one of the most famous and stirring speeches in American history. 1955 – Emmett Till a black teenager from Chicago visiting family in Money, Mississippi, is brutally beaten, shot in the head, and dumped into the Tallahatchie River. His mangled body will be found 3 days later. Till was killed by Roy Bryant, the husband of a white woman with whom Till was reported to have flirted a few days earlier, and JW Milam. Till’s uncle, Mose Wright, positively identifies the two men who took Till from Wright’s house on the night of the murder, but a jury will acquit the two men nonetheless, on the grounds that the mangled body could not be positively identified as Till. A year after the acquittal, protected by double jeopardy laws, the two will admit to and describe the murder to Look magazine. Till’s murder and the subsequent outrage over the verdict is regarded as a pivotal event in the history of the then infant Civil Rights movement. 1948 – Alfred Hitchcock’s Rope opens in theaters. Inspired by the true murder committed by Loeb and Leopold, Rope depicts the story of 2 young men who, just for kicks, murder their “friend” and then hold a dinner party with the trunk holding the body as the center piece of the party. Starring Jimmy Stewart, the film is best known for the absence of many conventional cuts, as large portions of the film are shot as a single, continuous scene. Although a canister of film could only hold 10 minutes of film, several scenes last for well over 10 minutes, which was accomplished by timing movements so that as the canister ran out, an actor would walk past the front of the camera, briefly blacking it out, allowing the change of the canister to occur without an obvious cut in the action. Hitchcock apparently didn’t like the film, and called it a failed experiment, but it is one of my favorite Hitchcock films. Interestingly, the initial scene shown in the trailer below isn’t actually in the film at all. 2007 – Michael Vick, a star quarterback for the Atlanta Falcons, formally pleads guilty before a Richmond, VA, judge to a federal felony charge related to running a dog fighting ring. That December, the 27-year-old Vick, once the highest-paid player in the NFL, was sentenced to 23 months in federal prison. 1984 – In an effort to spark new interest in the space shuttle program, NASA began discussions on including private citizens in the space program. On August 27, 1984, President Reagan announced the official formation of the Teacher in Space Project. More than 11,000 teachers applied to be considered for the program. By June 0f 1985, NASA had chosen 114 semifinalists to be the first teacher in space. This selection included two teachers from each state. Later, a review panel chosen by NASA and the Council of Chief State School Officers selected 10 finalists. 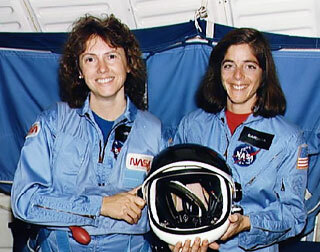 On July 18, 1985, NASA chose Christa McAuliffe as the flight candidate for the program and Barbara R. Morgan as her alternate. After the challenger accident, NASA decided to cancel the Teacher in Space Project. They also cancelled similar programs, such as an upcoming Journalist in Space program. 1952 – the New York Times front page contained three stories suggesting the impact of the Red Scare on the upcoming election. In the first story, the Republican-dominated Senate Internal Security Subcommittee released a report charging that the Radio Writers Guild was dominated by a small number of communists. The second front-page story was a report that the American Legion was demanding, for the third year in a row, that President Harry S. Truman dismiss Secretary of State Dean Acheson for his lack of vigor in dealing with the communist threat. The Legion report declared that the Department of State was in desperate need of “God-fearing Americans” who had the “intestinal fortitude not to be political puppets.” The organization demanded a quick and victorious settlement of the Korean War, even if this meant expanding the war into China. The three related stories from the front page of the Times indicated just how deeply the Red Scare had penetrated American society. Accusations about communists in the film, radio, and television industries, in the Department of State and the U.S. Army, in all walks of American life, had filled the newspapers and airwaves for years. By 1952, many Americans were convinced that communists were at work in the United States and must be rooted out and hunted down. 1883 – The volcanic island of Krakatoa near Indonesia erupts on this day in 1883, killing thousands in one of the worst geologic disasters of modern times.